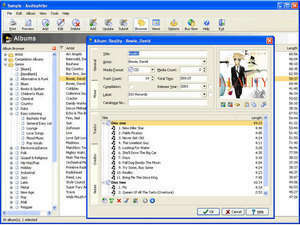 Audiophiler Music Organizer will organize your collection of mp3s. You can view and print reports, sort and group by any field. You can keep a record of where and when items were purchased and how much they cost. Loading your music collection is quick and easy. Audiophiler Music Organizer 1.6.3 is a shareware program and can be used as a demo to try the software until the free trial period has ended. A full version of the program is available after the trial period ends. For security reasons, you should also check out the Audiophiler Music Organizer download at LO4D.com which includes virus and malware tests. Additional screenshots of this application download may be available, too.